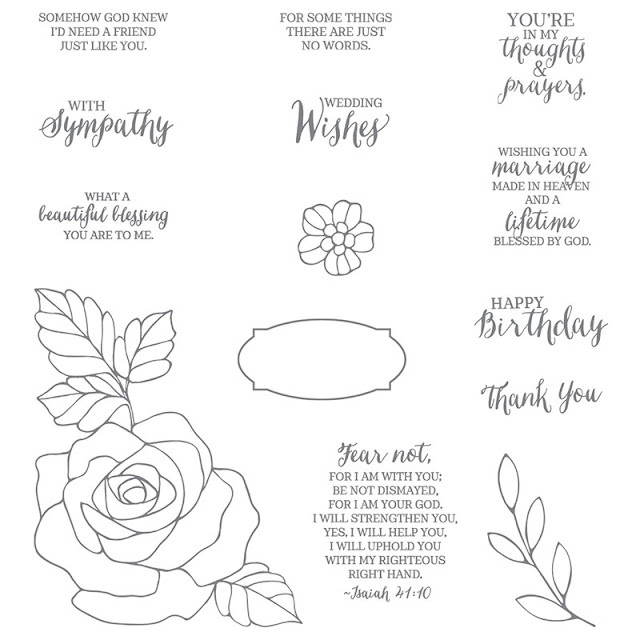 I love the stamp set from Stampin' Up! 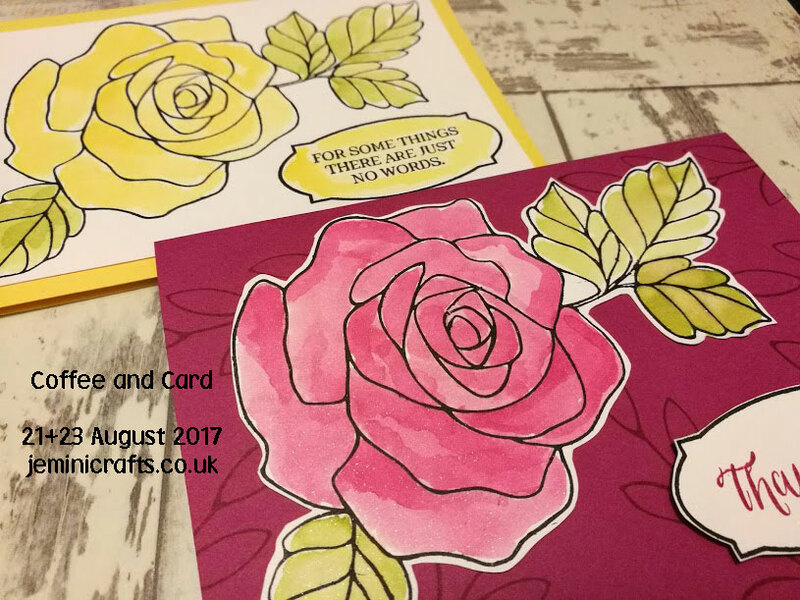 called Rose Wonder and I have used it at coffee and card before, but we used it slightly differently this time. 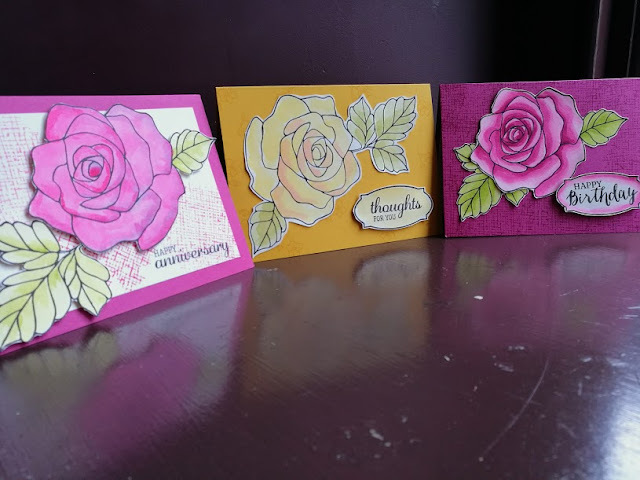 The ladies today did a stunning job - sadly the lighting and my photography were not up to the task, but here are 3 of our finished cards. I love the texture background from Best Birds that Barbara and Chris added to their Berry Burst samples. Here are the details of the stamp set, join us on Wednesday with more samples from coffee and card. Thanks for stopping by today.